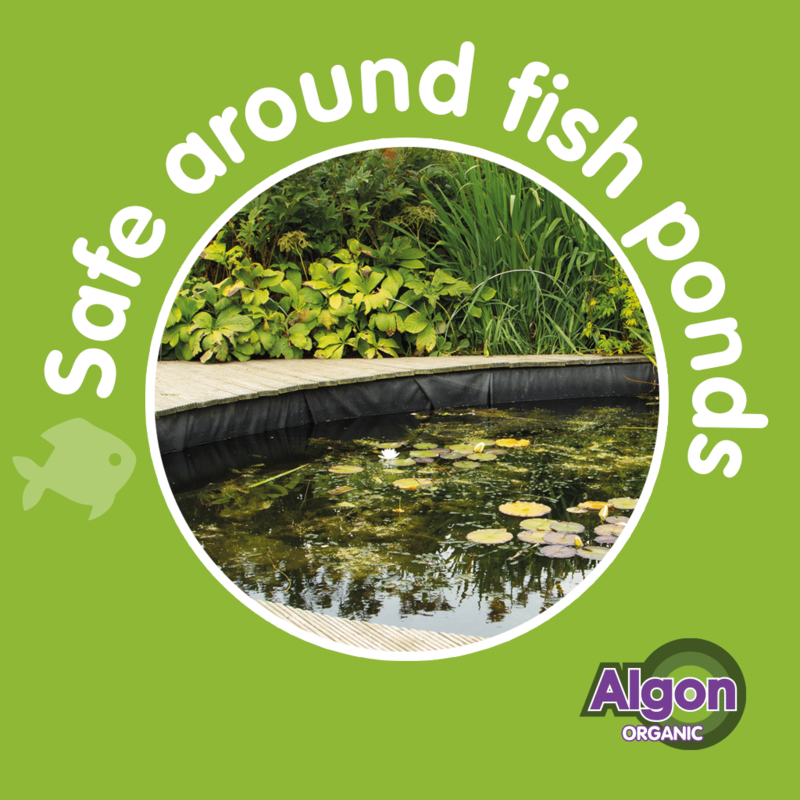 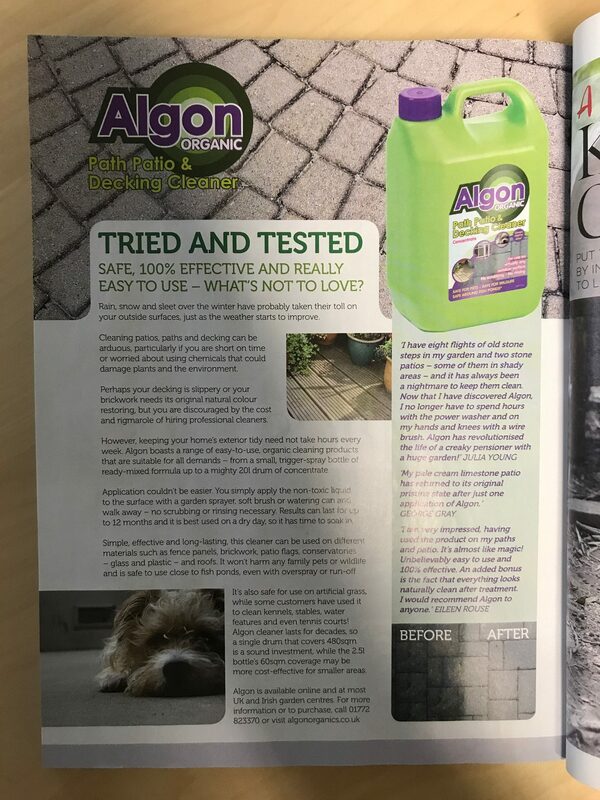 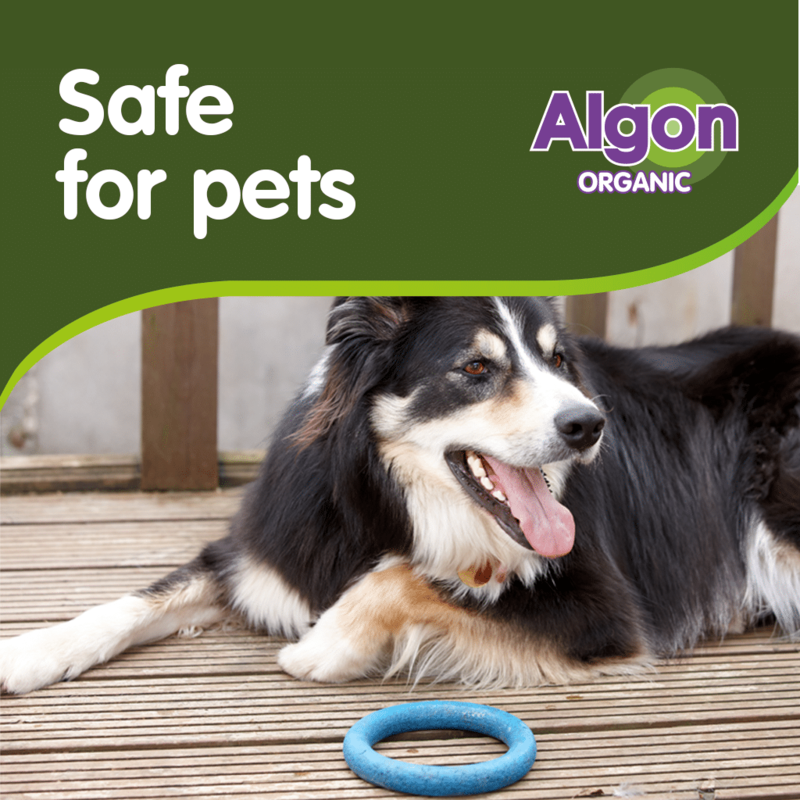 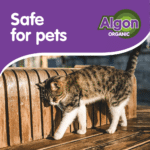 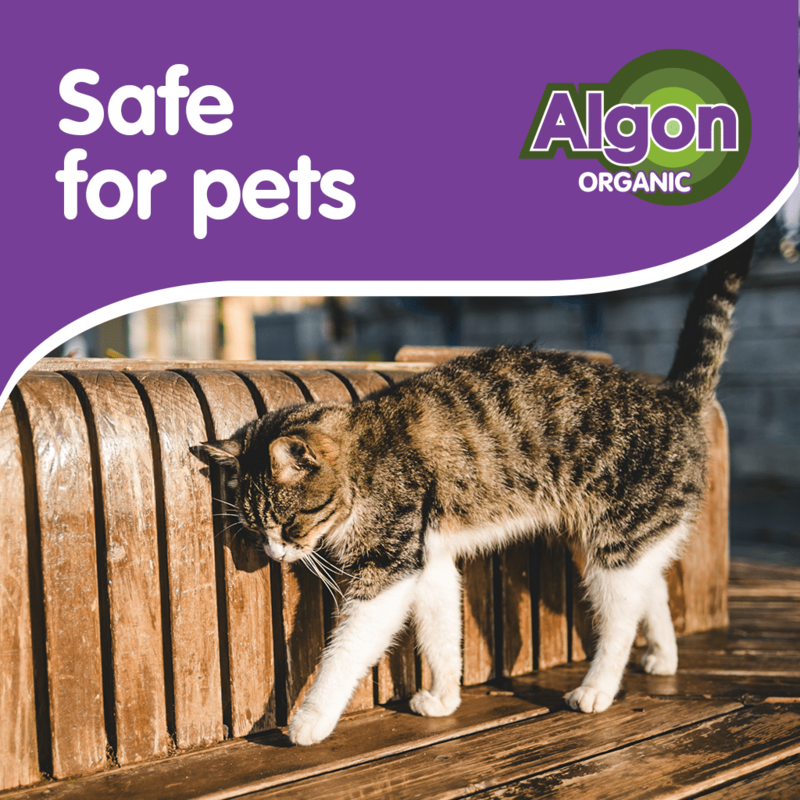 Algon can be used on many surfaces, it's safe for pets, non-toxic and organic. 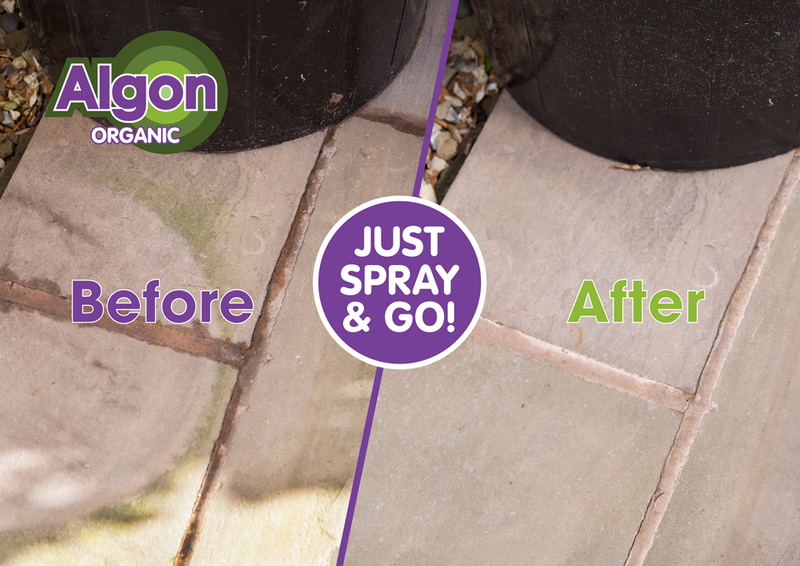 Simple to use, simply apply and leave to work into the surface! 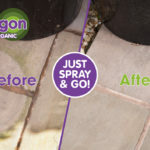 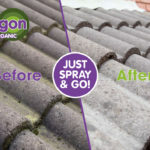 Take a look at some of the new Algon Videos showing the many uses of Algon Organic Patio Cleaner! 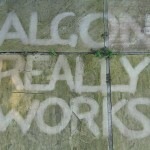 Just search Algon on You Tube. 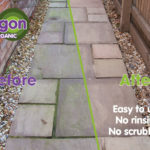 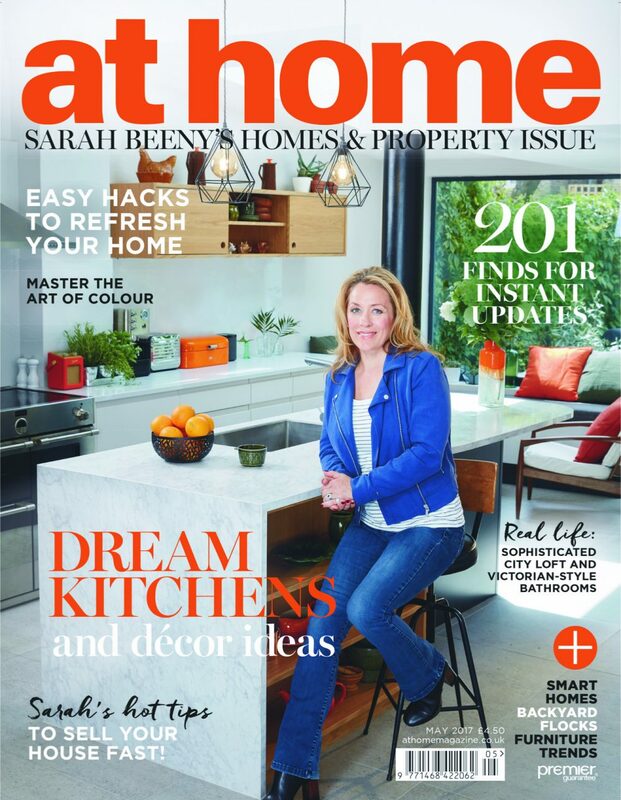 Algon Organic Bestselling Patio Cleaner in the UK! 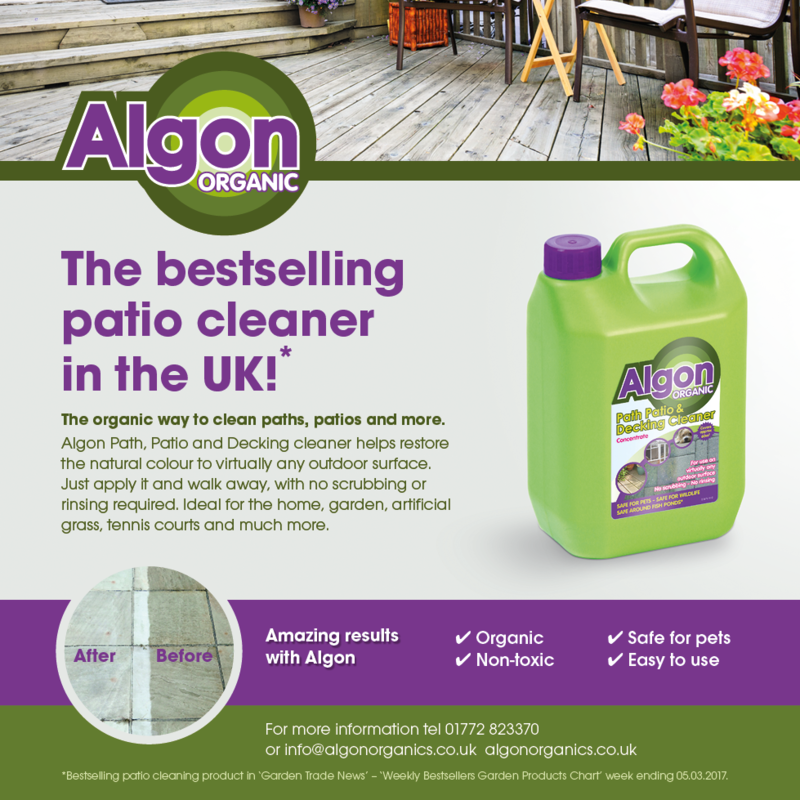 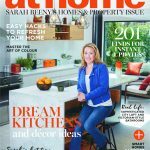 Algon Organic Bestselling Patio Cleaner in the UK according to GTN Bestsellers 05.03.2017. 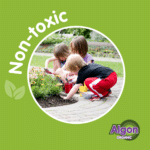 Simple to use, effective & non-toxic. 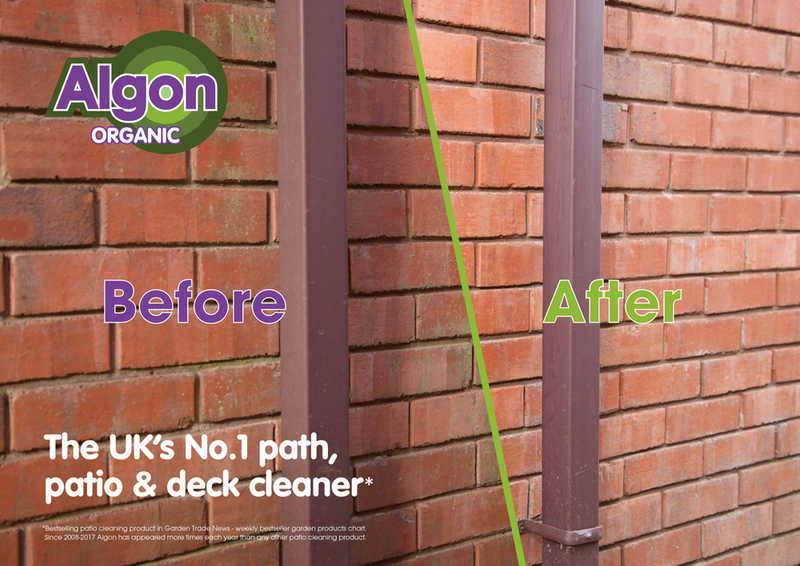 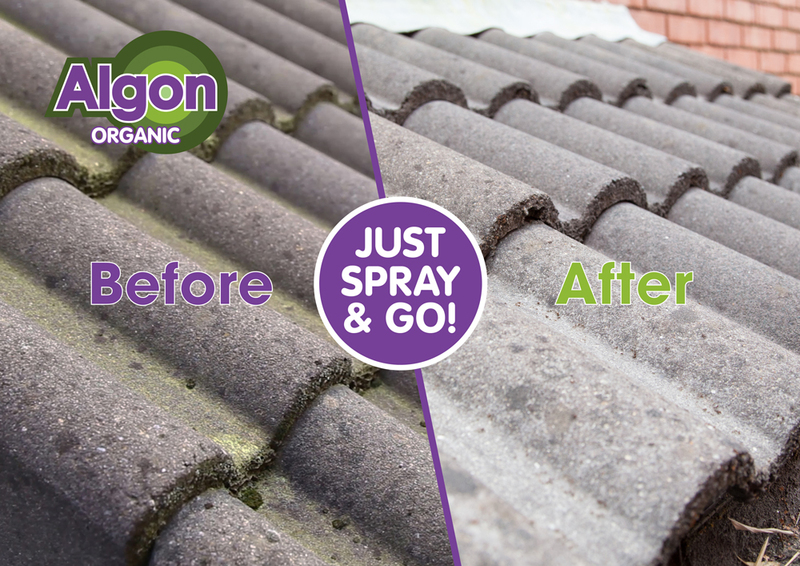 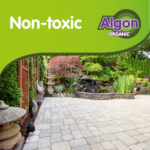 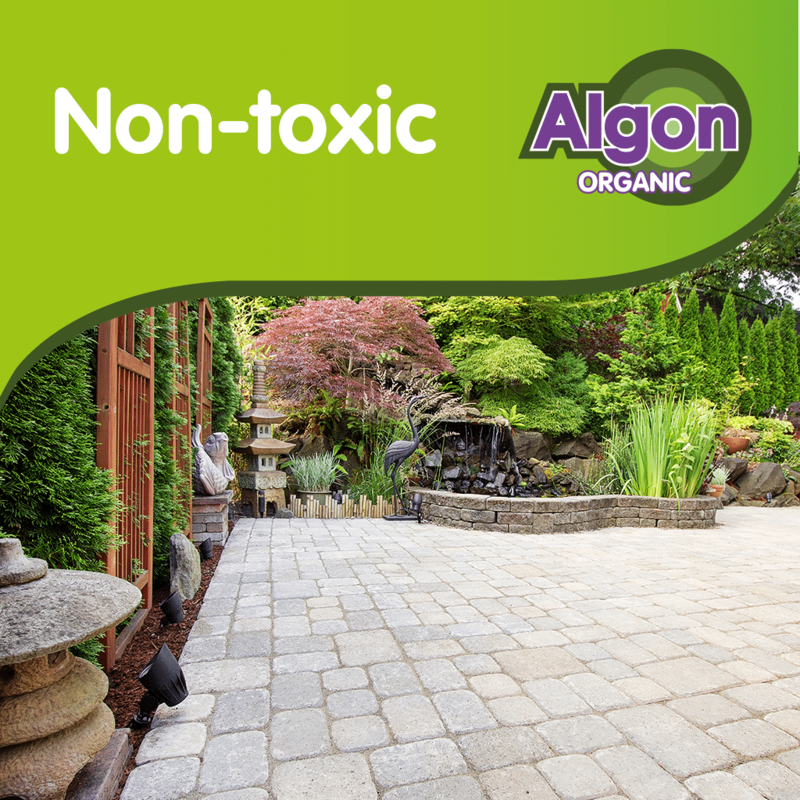 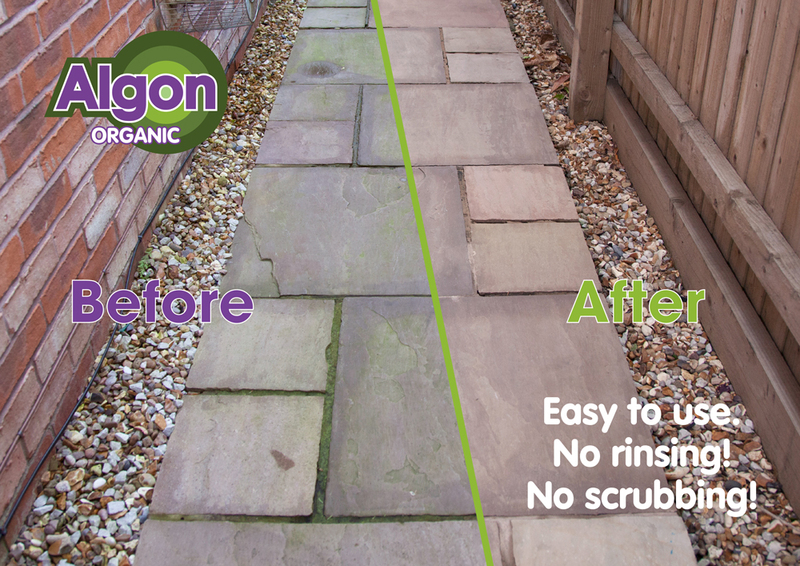 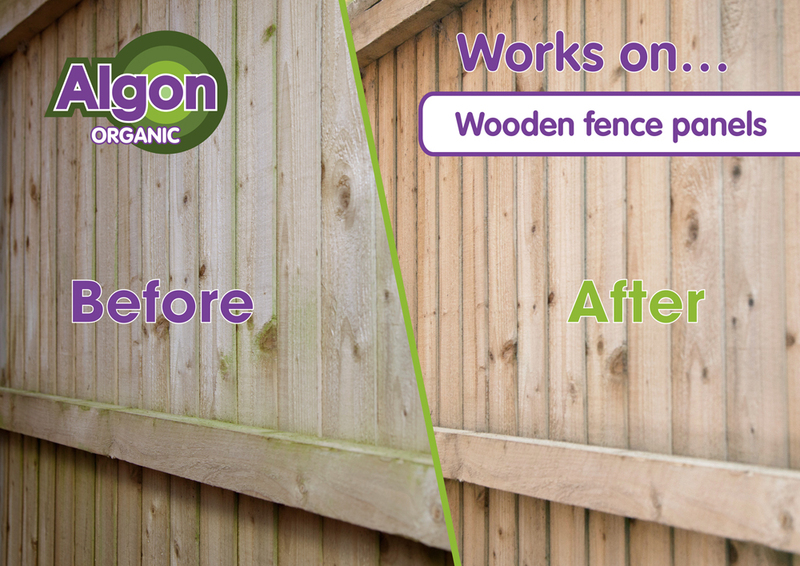 Keep paths, patios, decking and more around the home and garden clean with Algon. 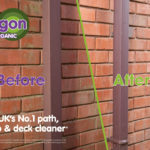 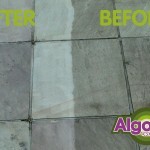 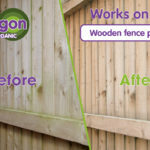 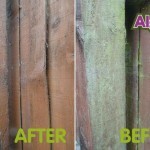 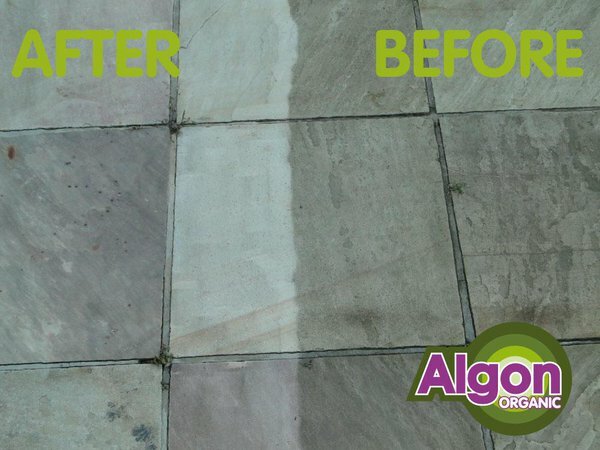 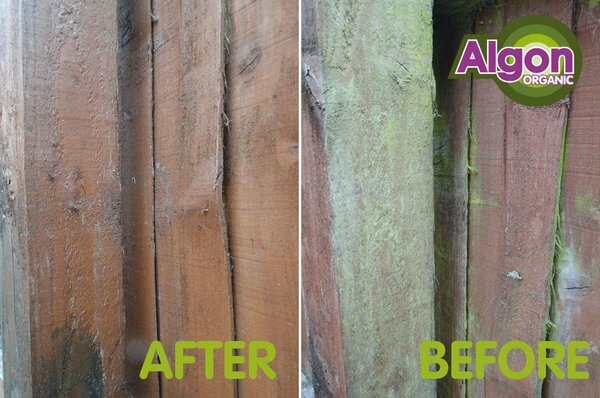 See how effective Algon is at cleaning patios & fencing. 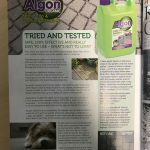 You can use Algon on many different surfaces and it is so simple to use. 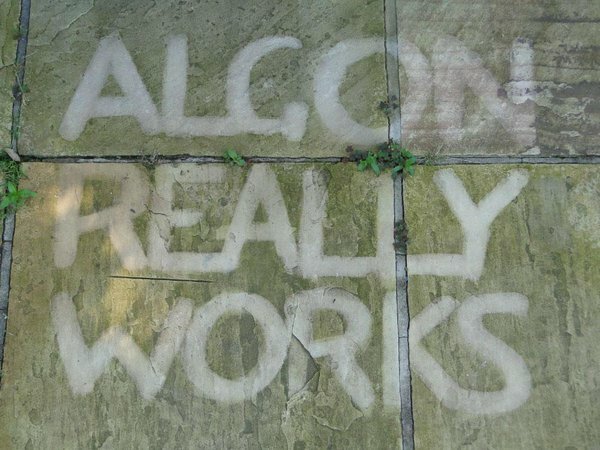 Just spray on and walk away and let Algon do the work. It's non-toxic when diluted and safe for pets as well! 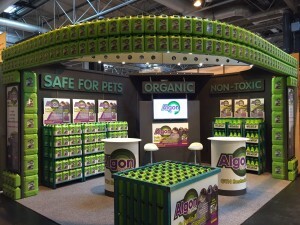 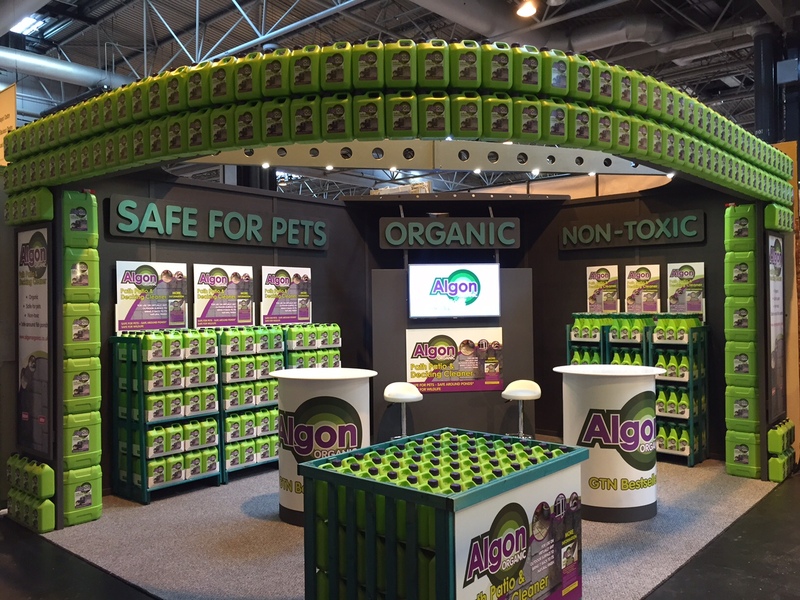 See the Algon stand at GLEE 2015.